Another first and an old whatsit! I hit the same old ghost town again today, and found my first ever silver quarter. It turned out to be a 1928 SLQ. Man i was pumped!!! It was so black though when I pulled it out of the ground, I thought I had found clad in a town that was abandoned in the 50s...ha! 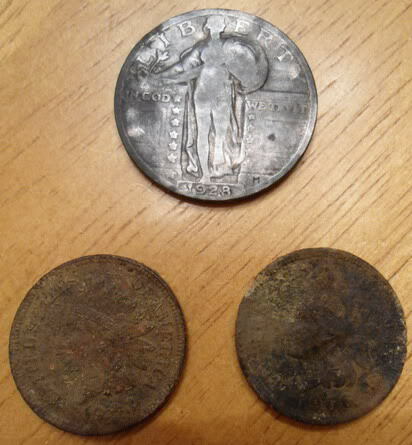 Anyway, I found 2 indians 1903 & 1906 a couple wheat cents and one other thing I'm hoping for some help on. All the better finds. 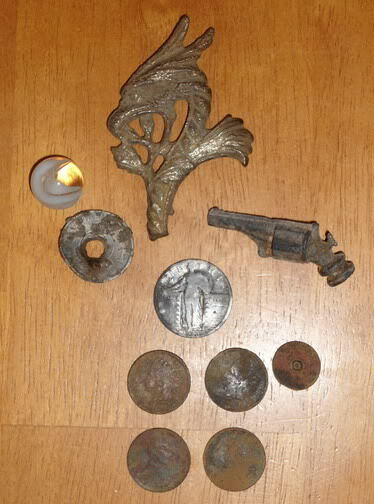 The little lead/pewter gun was pretty cool. WOW! My first silver quarter is a SLQ! Ok, what the heck is this thing? 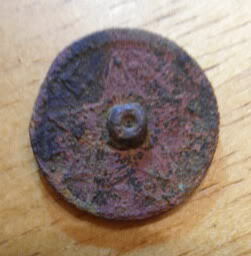 I'm not sure if its a token, a button or what, but the 1872 on the front really has me intrigued. 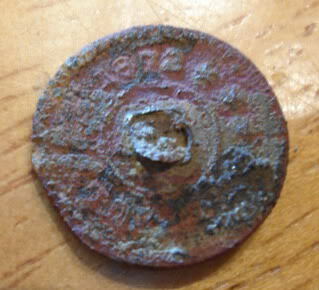 I found it about 20 feet from where I pulled the 1853 seated dime a few days ago. It rang up real low something like 12-4. It is probably the size of a 3 cent piece or something like that. Very small. Re: Another first and an old whatsit! Great finds Gator, that is a great spot. Nice gator, love that standing liberty, your on a run. that token thing is cool.. congrats!